oomph. : the cowl neck sweater. I haven't worn a turtleneck in year. Love cowl necks. If for no other reason than because they make me feel less suffocated! This is a wonderful casual fall look! You look great in your pictures. I love your cowl neck sweater. I am so amazed that you are wearing sweaters in Hawaii. I don't pull my sweaters out here until we never get above the 60s. I'm loving the look, especially the wide leg jeans. Cowlnecks are definitely back. I need to pick up one. Love yours becks and great color. Super cute look!! 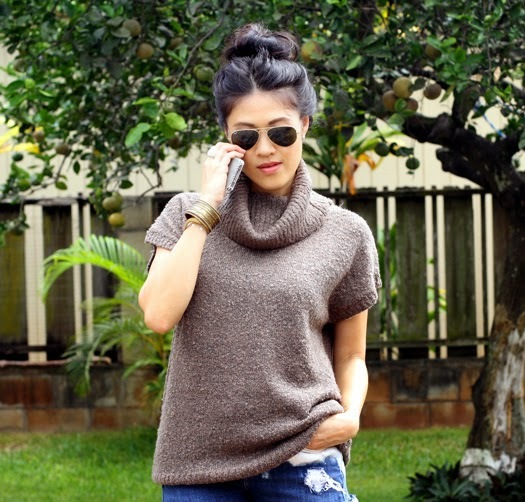 I love cowl necks! Love the structured cowl neck look. I have a jersey shirt with a cowl neck that just kinda droops and it's not as nice as this one! 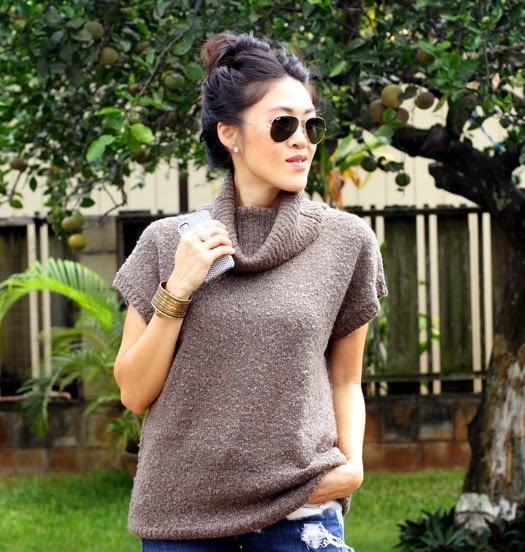 I'm really liking the relaxed drapey look of cowl necks for this season! You look great in that sweater. LOVE IT!! What a great sweater!! That looks great on you, I like it with the pants. I usually feel like turtlenecks are trying to choke me haha, so I avoid them. And I'm such a scarf fanatic that the cowl seems to just thwart my scarfy ways.